Eyebrows: shade-providing friend to our eyes; expressive anchor of our face; damn time-consuming to groom. 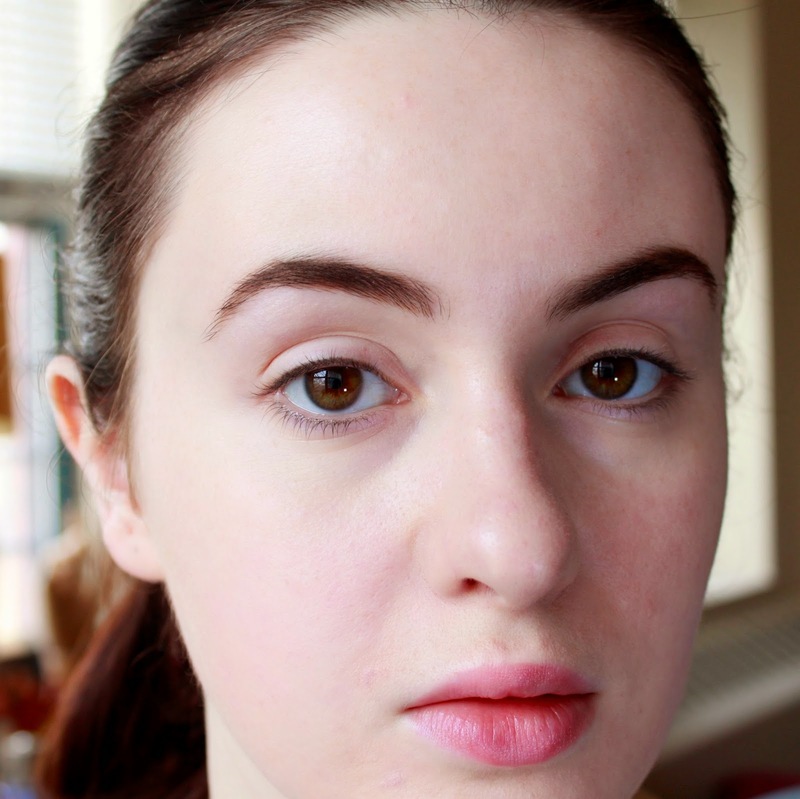 Developing the eyebrow shaping and styling techniques that work best for you can take lots of time; I've been playing around with mine for years, and I'm still not totally satisfied. 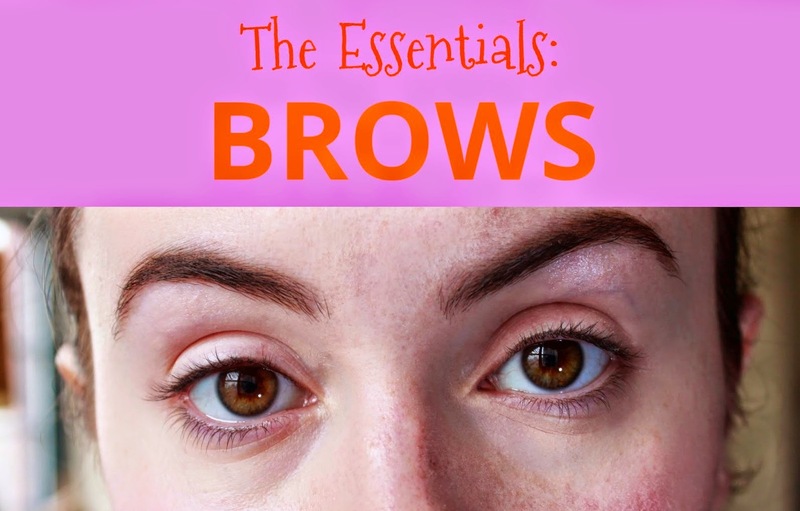 But I hope you'll find some of these things I've learned over the years helpful in your brow journey, remembering that nothing I've written below is a hard-and-fast rule. You just have to experiment and adapt the "rules" of eyebrows to what fits your face best! As a general rule, I believe that the brows you naturally grow are pretty darn close to the brow that'll look best on your face. Of course, there are exceptions on extreme ends of the spectrum: girls with very bushy brows and those with very faint brows will need to do some more work to achieve a look that's polished and frames their face well. If you have drastically altered the shape and width of your brows with plucking/waxing/threading/whatever, please consider leaving them alone for a month. They may feel unkempt during that time, but I really believe that your original eyebrow was your best guide, again, unless your brows are naturally very, very thick. Once they're grown out, you may want to go in and define your arch a bit more or get rid of some strays. 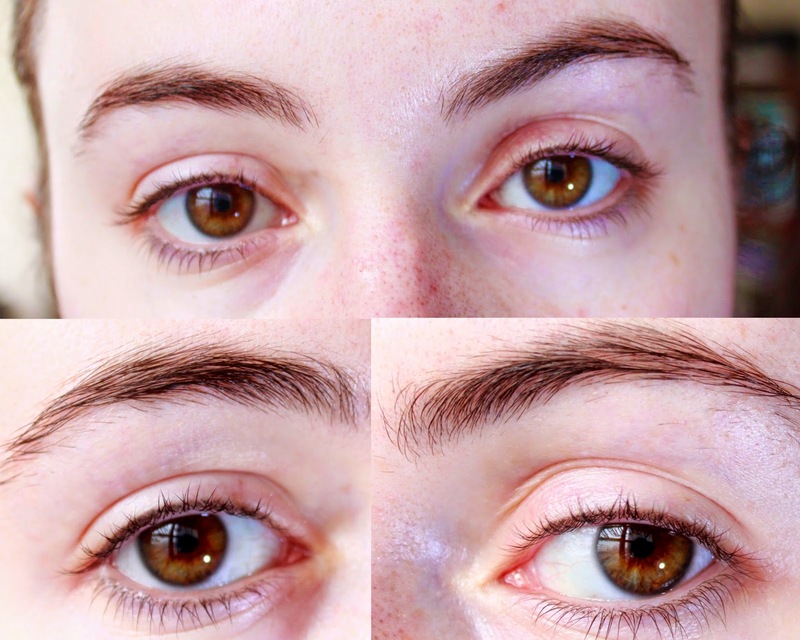 If you've been removing hair from your brow for years via one of those aforementioned methods, there's a possibility that they won't grow back. If that's the case, there are lots of products out there that you can use to create a fuller brow including brow pencils, powders applied with an angle brush and waxes for unruly hairs. When it comes to my personal routine, I don't trust anyone else with threading or waxing them; I pluck them myself. As you can see in the picture to the left, there have been times when I've gone for a slimmer shape and more dramatic arch for my brows, and I usually ended up regretting that. I started getting too close to the mirror when plucking, debating every single hair and removing some I shouldn't have. It's crucial to remember that your brows add structure to your face overall; they aren't an entity unto themselves and should be considered in relation to the other features on your face. When plucking, take breaks to step away from the mirror every hair or two to see how your brows are looking overall. 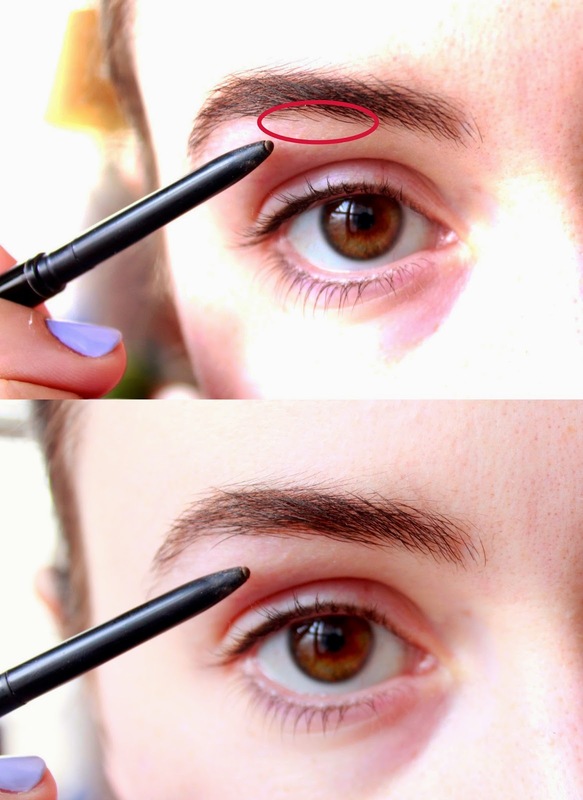 If you have quite unruly brows that you've never groomed, you certainly can go to a good salon for some help creating a good arch, and then maintain the shape yourself with tweezers. If I were you, I'd ask the technician to start slow, only removing strays and defining the arch a bit. You can always take away more hairs if need be, but growing hair back takes time and there's no guarantee it'll return at all. I didn't pluck my brows for two weeks just for this post; they haven't gone with so little attention since I was about 11! 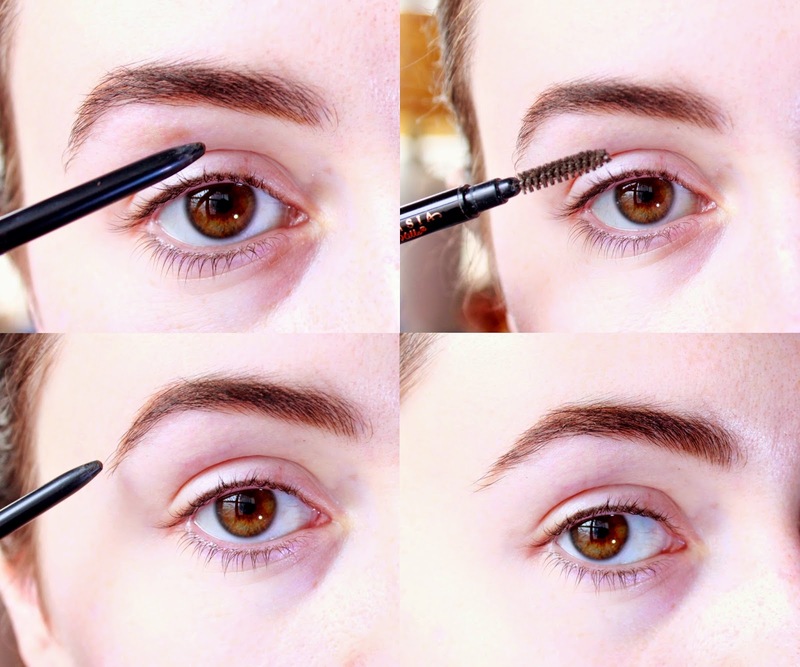 I hope you'll find this post useful in shaping your brow routine. I do want to add a disclaimer that I normally avoid altering my photos in any way other than cropping for posts, however for this post I did bump up the contrast in most photos; I wanted to you to be able to see each hair & stroke of my brow pencil, and I tend err on the overexposed side when I take photos. It's all a learning process, right? *Again, note that I've bumped up the contrast in these photos, so don't take these photos as a swatch of this shade; it looks more red in these photos than it is in person. No makeup, no brow grooming, no service. A closeup of my brows pre-grooming. Notice that the brows on the left is a bit shorter and has a less graceful-looking arch. We'll work on correcting that a bit with the pencil, but some unevenness is completely natural on not something to obsess over! Tools for the day! The Anastasia pencil has a handy spoolie brush on one end, which I'll use quite a bit. Many of you probably know you can, uhm, borrow these from Sephora stores. 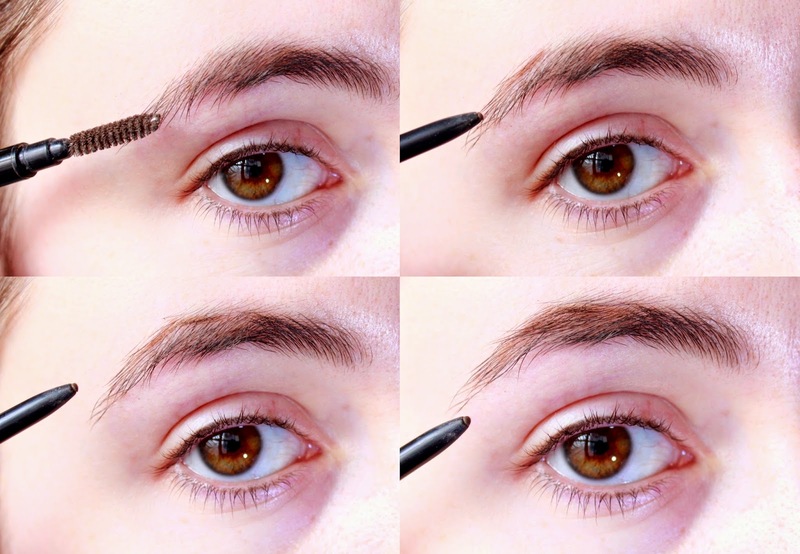 Start by brushing your brow upwards to see what the bottom of the brow looks like. We're only going to be plucking from below the brow; plucking the top is the quickest way to very unnatural, misshapen eyebrows. If you really have no idea where to start with your brow shape, try using a white pencil to sculpt the shape you'd want ideally; then when plucking, you can just pull the hairs in the white area. 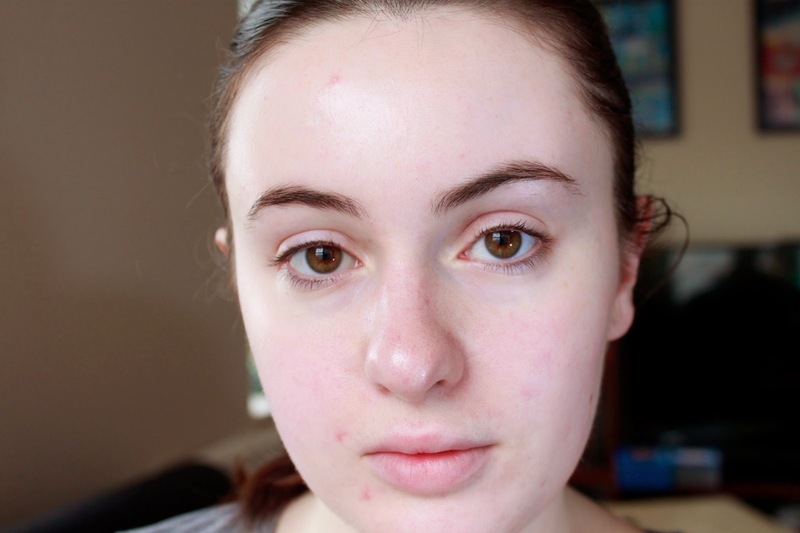 For me, I just got rid of the strays (those hairs that have no effect on the overall shape of my brow) and a few (literally, 3 or 4 hairs) from underneath the arch to define it some more. Ahhh, that feels better! On days when I'm in a rush or am wearing lots of other makeup, I'll often just swipe my brows with some of Benefit's Gimme Brow; it's a brow gel like Maybelline's clear version, but it has pigment to add a bit more color to your eyebrows. I always brush upwards, and then use the edge of the brush to coax the hairs into a straight line on top. The upward brushing motion helps create an even fuller brow look. For a more finished-looking brow, add in some pencil or powder applied with an angle brush, whichever you prefer. Just be sure that the color isn't too dark or too reddish; start with a light taupe shade if you're unsure, since this is pretty universally flattering. Brush down the hair to reveal the top of your arch. Draw in two lines that follow your natural arch in order to enhance it without over-drawing. Fill in a bit more in that area if necessary, always keeping your strokes light and feathery. 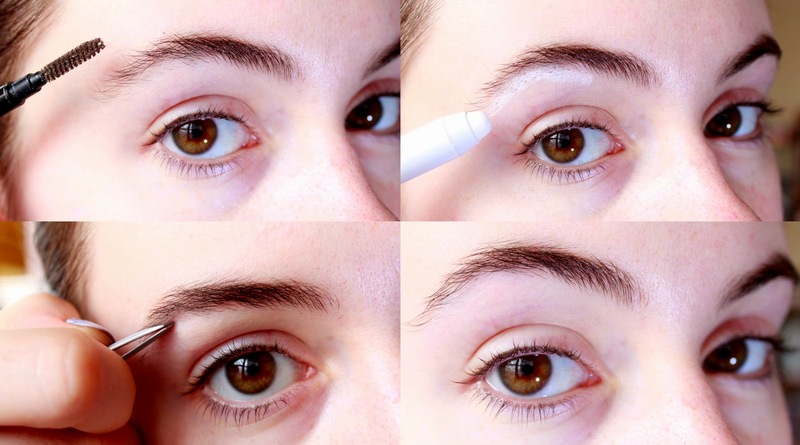 From there, fill in any gaps in your brows. In the top image, you can see a gap in that line from the front of my brows to the arch, which I like to keep quite straight. Again, lightly fill in with pencil. If you use too much pencil, use the spoolie brush again to brush some of the product away. 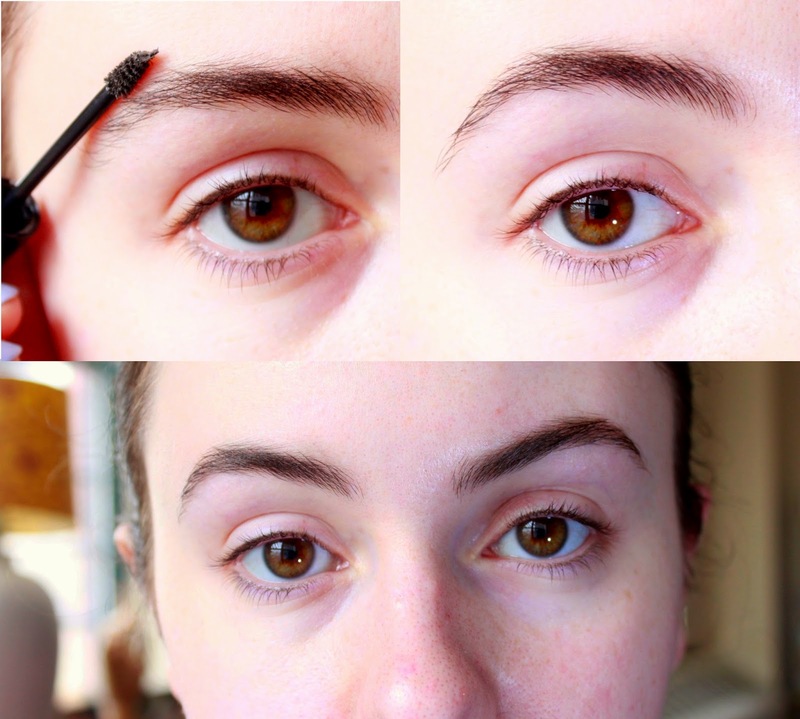 If you have very sparse brows, you'll be filling in much more of your eyebrows. Again, just keep your strokes light, and remember that your arch area should be darkest, while the front of your brows should remain nice and soft. Sometimes I'll stop at the previous step and just throw on some brow gel; strengthening that arch and filling in gaps makes a huge difference! But for a the full brow shebang, you'll want to lightly fill in the inner corner as well. I start with a soft line going from the bottom inner corner, and then use my spoolie brush to blend, blend, blend! You can avoid that harsh inner-brow line with this kind of brush. Add a bit of a product to the end of your brow if you wish, brush through that lightly, slap on some brow gel and that's it! 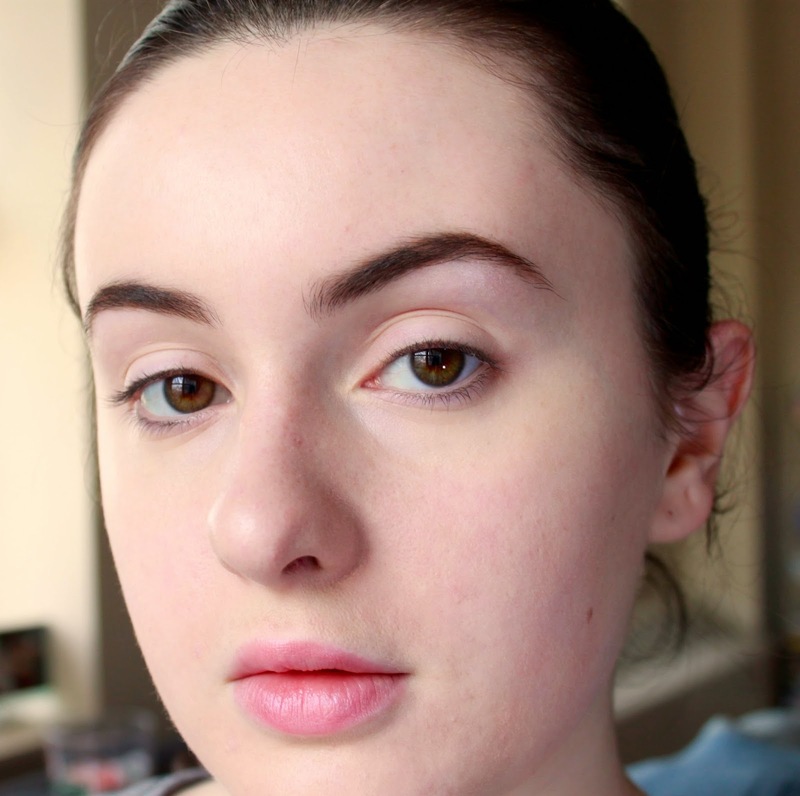 Main takeaways here: keep things soft and natural for a universally flattering brow. Of course, for a more dramatic look, play around with more pencilled looks to your heart's content! 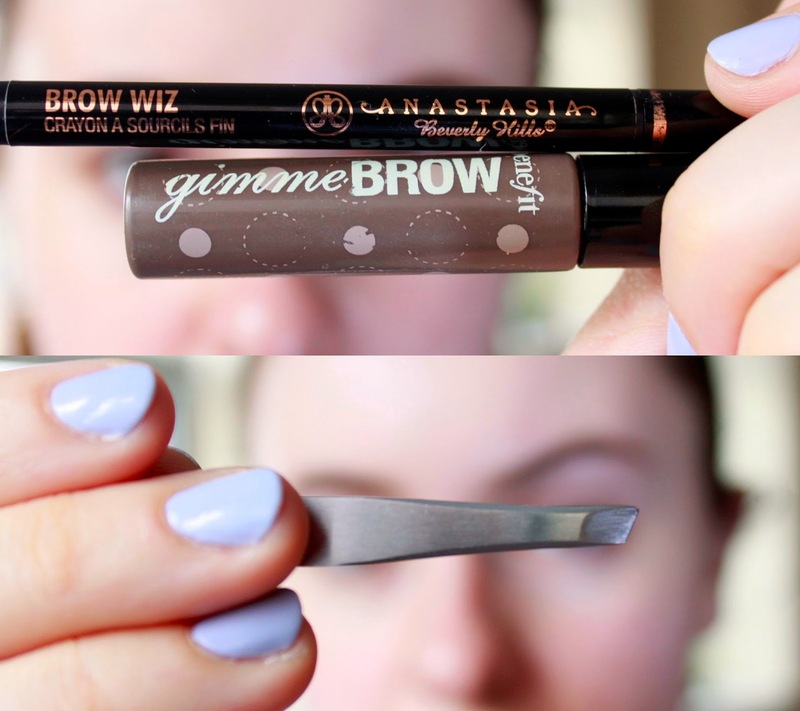 Don't forget to comment with your favorite brow tricks, and of course if you have any questions! Thanks for reading. Thank you! Just followed you on Bloglovin'. Your photography is beautiful!